Remove trash on a daily basis in order to keep the interior clean. Picking up trash and debris on a daily basis will ensure that you don’t end up with a huge mess inside your vehicle. The hard surfaces of the vehicle interior such as the steering wheel, dashboard and stereo buttons and knobs can be safely cleaned by wipes made specifically for car cleaning such as Armor All Wipes. Make sure to pay special attention to the steering wheel since this area can collect grime and dirt from oil transfer from the hands. Don’t have time for a full car wash? It’s now possible to clean and wax your car at the same time using a product like Meguiar’s Ultimate Quick Detailer. This product works well between washes and doesn’t require water. Simply spray on and wipe. Use a microfiber towel in order to avoid scratching the exterior paint. If you are giving your car a full car wash it’s recommended to use a soft terry or chamois towel to dry the surface. Letting the water dry naturally may end up leaving unattractive watermarks on the exterior. The easiest way to clean the mats inside your vehicle is by using a handheld vacuum. Pick one that operates on a charge so you won’t have to deal with long cords. 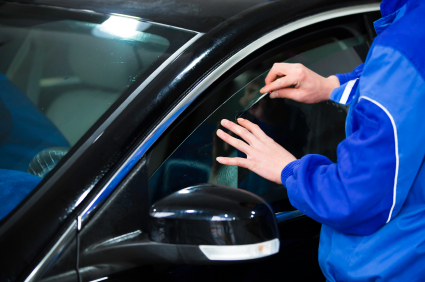 Cleaning your car may seem like a chore but frequent cleanings are key in keeping your vehicle in tip top shape.